Faversham, Kent’s ‘Market Town of Kings’ so called because of its links with English kings and queens over more than a thousand years. 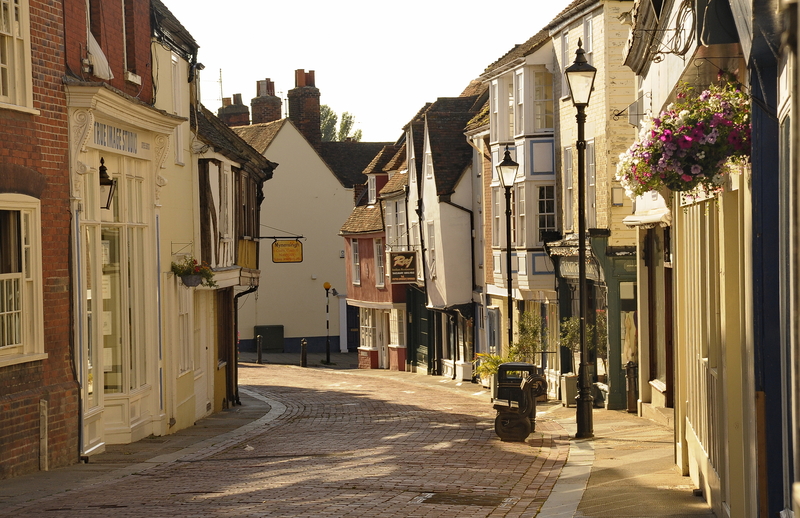 The Kent town possesses a magnificent set of charters, including a confirmation of Magna Carta presented to the Barons and Port of Faversham in 1300. Faversham’s Magna Carta is the last reissue of King Edward I’s seal and was granted due to the town’s connections with the Cinque Ports. The international importance of the Faversham Magna Carta was initially overlooked in the town’s archive, which is not surprising as Faversham has one on the largest collections of municipal charters in the UK dating from 1252 to 1685. As part of the Magna Carta 800 commemorations, Faversham will launch a major Kent touring exhibition ‘Magna Carta Rediscovered’ on 23rd May with the Faversham Magna Carta as the centrepiece. The exhibition will remain in the town until 28th June when it begins its tour and moves to Canterbury. A highlight of the exhibition whilst in Faversham will be the ‘Faversham Charters Collection’ exhibition when many of the Charters will be on display alongside Magna Carta. The Alexander Centre, Faversham. Every day from 10.00am to 4.00pm (last entry 3.30pm). Thursdays until 7.30pm. Faversham’s rarely displayed Magna Carta will be the centrepiece of this major free exhibition which will interpret the importance of the medieval Magna Carta to today’s concepts of the freedom of the individual, democracy and society. The ‘Faversham Charters Collection’ exhibition will display the best of Faversham’s charters with an audio visual presentation bringing some of the town’s treasures to life. The Fleur de Lis Heritage Centre, Faversham. 10.00am – 4.00pm. 22nd May: BBC Radio 4’s ‘Any Questions will be broadcast from The Alexander Centre with panellists Lord Chris Patten and Douglas Carswell MP, UKIP. The Alexander Centre Lecture Series, every Thursday throughout the exhibition starting at 7.30pm. 4th June: ‘Magna Carta in its own Time’ Presented by Professor Louise Wilkinson, Professor of Medieval History, Canterbury Christ Church University. 11th June: ‘After Magna Carta: the struggle for implementation’ Presented by Richard Eales, former Head of History, University of Kent. 18th June: Dr David Starkey, constitutional historian and presenter of BBC 2’s David Starkey’s Magna Carta. 6th June: ‘Magna Carta Gala Concert. The world premiere of ‘Toads on a Tapestry’ a cantata celebrating Faversham’s Magna Carta, bringing together more than 200 amateur and professional performers in the impressive setting of St Mary of Charity Church, Faversham. 13th – 14th June: Faversham Magna Carta Weekend. The streets of Faversham will come ‘alive’ with the sights and sounds of medieval England. Historical re-enactments, plays, medieval displays, arts, crafts, food and drink. 13th – 14th June: ‘Trial by Jury’ The Assembly Rooms, Faversham. Performances at 3pm and 6.30pm on Saturday, 13th and at 3pm on Sunday, 14th. A one act comic opera by Gilbert and Sullivan, performed by Faversham Youth Choir. A free event with a retiring collection.